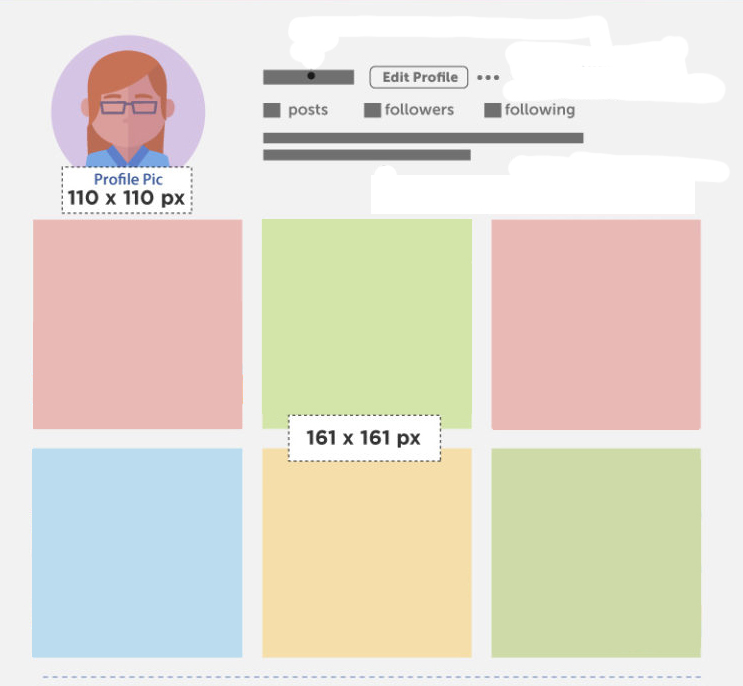 When uploading your photos to social media pages you may be surprised to know that there are specific sizes that you should upload your pictures in, in order for them to look their best. Social networks are constantly adding up more features, visual elements. It seems like every day when you wake up, you see a new element or iteration being made to the social networks you are active in. 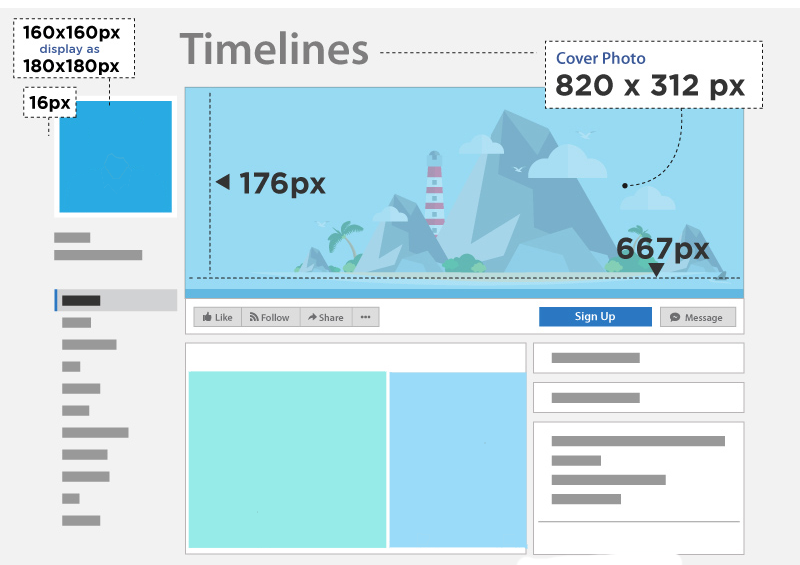 Making you go back and figure out the right size of cover images, post images and align your campaign according to the latest set of changes. Are you fed up of searching for sizes anytime you want to make a new visual piece? Lucky for you we are here to help and have put together a handy sheet with everything you want to know. For Facebook, all profile pictures should have the detentions of 180px by 180px in order for the picture to be at the highest quality. For the cover photo the image should be around 820px by 312px as shown above. 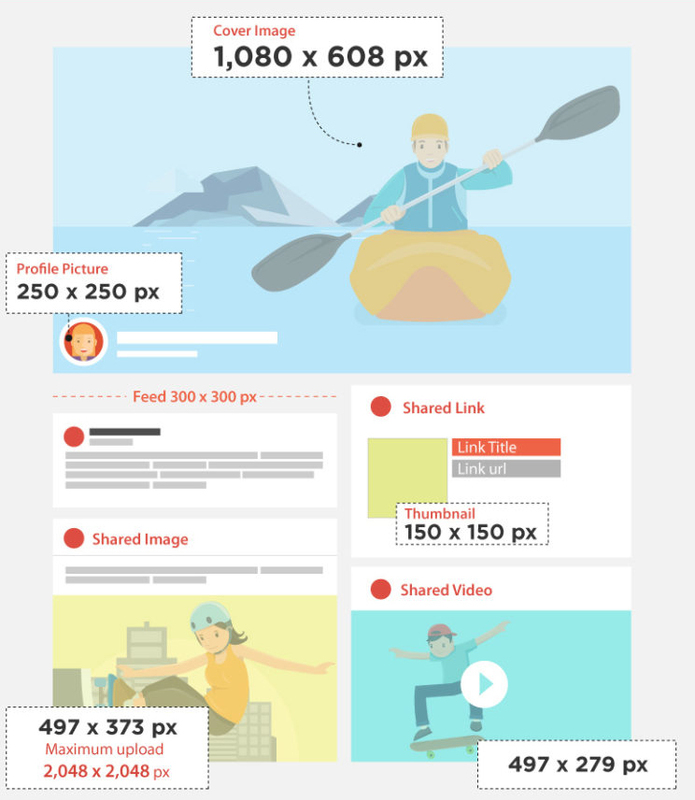 For Facebook posts images should be on average 1200px by 630px. When uploading to Google+ the optimal image quality is as shown below. The cover image should be 1080px by 608px. The profile picture should be 250px by 250px. When posting images, they should be 497px by 373px. For Twitter your cover photo should have the dimensions of 1500px by 1500px. The profile picture should always have the dimensions of a square but try and aim for around 400px by 400px. When posting a picture to twitter the image should be 590px by 295px. When posting to Instagram all your image need to be square so they sit correctly on the page. The optimal dimensions are 161px by 161px. The profile picture should be 110px by 110px. 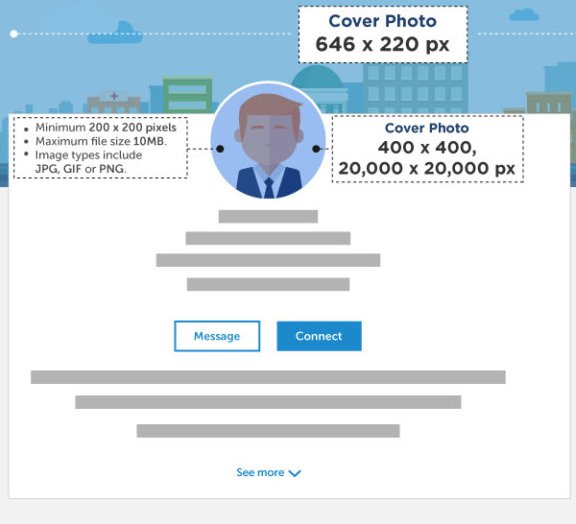 When setting up your LinkedIn account your cover photo needs to have the dimensions 646px by 220px and your profile picture needs to be 400px by 400px.